A true tale…I remember clearly the sinking feeling of regret. I was shocked at the condition of my property and the size of my repair bill and I cursed myself for not thinking to check in on it more often. It had all started so well, I had found lovely, long term tenants who always paid their rent on time. I inspected the property after a year and then at 2 ½ years all was looking great, we had good communication, they called me when the boiler went wrong which I promptly got fixed or the washer wasn’t working properly, so I knew I could trust them to look after my property. I basically got complacent and a little bit lazy. My perfect tenants decided after 5 years and a baby that it was time for them to get somewhere larger, so after some sorrowful goodbyes and many thank yous for being such great tenants, we went in to see the property. Oh my! Well that was a lesson and a half. The small drip they reported from the shower screen had actually been such a gigantic small drip that there was now a full 50cm hole in the bathroom floor – revealing the floorboards below. We had to replace the kitchen and bathroom taps because they hadn’t been cleaned of scale in 5 years, the sofa had to be thrown away because it was so soiled, unreported leaks peppered the ceilings and the list went on. Several thousands of pounds later, we had learnt our lesson. But could anything have been done differently to prevent this? A few periodic checks through the tenancy would have stopped a lot of those minor issues from becoming major issues and ultimately costing us a lot of money, not to mention the time wasted in getting everything fixed before we could move a new tenant in. I know we are all busy and don’t always live near enough to our rental properties to make it realistic to check them regularly, so what is the answer I hear you ask? The answer lies in employing an outside agency to carry out Mid-Term Property Health Checks. These can be done at any point during the tenancy, to alleviate those periodic sweaty palm moments when you realise you haven’t checked up on your tenants for a while. What is Mid-Term Property Health Check? An inspection is made of the property and a report created to flag to landlords any potential issues arising during the course of the tenancy, including costly maintenance issues, health and safety points and potential legal hazards. Who Is It For? Landlords or agents who have not had time to check the condition of the rental property, landlords who suspect that the property may not be being cared for as it should be and also any properties with long term tenants where the property is not being accessed regularly by the owner or agent. When should it be done? Anytime is better than never, but intervals of either 3 or 6 month slots throughout the tenancy are recommended, depending on what you are comfortable with. 6 months is normally quite adequate. What does the report include? Issues such as; Hazards, loose carpet, smell of gas, electrical issues, obvious structural issues, blocked exits, leaks, significant damage, mould & damp, general misuse of the premises. I had an inventory done why do I need this now? Properties deteriorate and as landlords we have many legal responsibilities to uphold as owner of a tenanted dwelling. This report will flag any hazards that are spotted, safety issues or misuse. Although the tenant is responsible for many minor issues during the tenancy the landlord still is legally obligated to keep that property safe and free from hazards. My tenants have been in for two years, what is the point now? It is never too late to carry this out and to stop potentially very expensive issues getting worse. My tenants seemed really nice and always communicate, should I bother with this? Definitely. Even the nicest tenants may not treat the property as you would wish. Not seeing things as real issues until the problem is really bad, minor water leaks that turn in to a collapsed ceiling, mould growth, frayed flexes and so on. Once a new tenant moves in, you can be forgiven for thinking that the hard part is over. You have advertised, vetted and found tenants. The contracts have been signed, monies paid and deposit logged, all the safety aspects covered and finally they moved in. You feel like you can settle back and hopefully, look forward to a long tenancy with regular rental payments coming in while you get on with life. However, if you look at things from a tenant’s perspective, you might consider that most, although perfectly good honest people, won’t always take the time to report back to you on minor issues that arise. 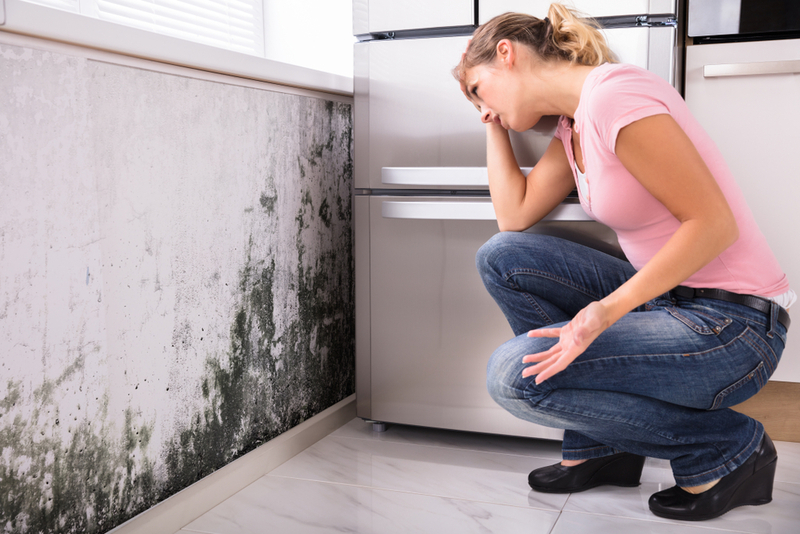 To renters these are not always seen as worthy of contacting the landlord or managing agent about, so that small leak from the shower seal, the loose carpet on the stairs, the window that won’t close properly or the mildew forming in the back of the cupboard will go unreported. So, even if you have a great relationship with your tenants, speaking from experience I would always recommend carrying out mid-term inspections. If you don’t fancy having any nasty surprises when your tenancies come to an end, contact Eclipse Inventories and we can send one of our expert clerks to carry out a Mid-Term Health Check on your property today.